Brown dwarfs are stars less massive than the sun and unable to burn hydrogen. They comprise (at least in mass) a bridge between planets and stars, and astronomers think that they form and evolve in ways different from either planets or stars. Gravitational microlensing is an excellent method for detecting them because it does not depend on their light, which is dim, but rather their mass. When the path of light from a star passes by a brown dwarf acting as a lens, it is magnified into a distorted image, like an object seen through the stem of a wineglass, allowing the detection and characterization of the lensing object. Thirty-two brown dwarfs have been detected by microlensing so far. Five are in isolation, but most are in binary systems, companions to faint M-dwarf stars. They provide important constraints on brown dwarf formation scenarios. The critical parameter of a brown dwarf is its mass, but it is difficult to measure the mass of a lens using microlensing. Using this method, one measures the magnified and distorted stellar image as it changed in time (it varies as the Earth’s vantage point moves), but the technique offers no handle on the distance, and the larger the distance, the larger is the mass needed to generate the same-sized distortion. Recognizing this problem, scientists had predicted that if it ever became possible to observe a microlensing flash from two well-separated vantage points, a parallax measurement (the apparent angular difference between the positions of the star as seen from the two separated sites) would determine the distance of the dark object. The Spitzer Space Telescope circles the Sun in an Earth-trailing orbit, and is currently 1.66 astronomical units away from Earth (one AU is the average distance of the Earth from the Sun). 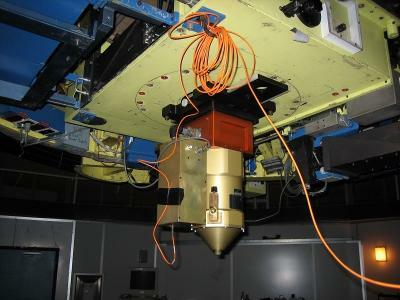 Spitzer is unique in this capability, and it has in fact been used successfully to measure the parallax distance for hundreds of microlensing events, thereby helping to determine the masses of the lenses. CfA astronomers Jennifer Yee and In-Gu Shin were members of a large team of microlensing astronomers who used Spitzer together with ground-based telescopes to study an unusual microlensing event. The object, MOA-2016-BLG-231, is located 9400 light-years away in the disk of our galaxy. The shape of its distorted light curve reveals it probably to be a pair of brown dwarfs of masses approximately twenty-one and nine Jupiter-masses, respectively (the smaller one is right at the lower mass limit for being a brown dwarf rather than a giant planet). This is only the fifth brown dwarf binary system discovered in which both objects are brown dwarfs; improved statistics enable astronomers to address the formation mechanisms needed. 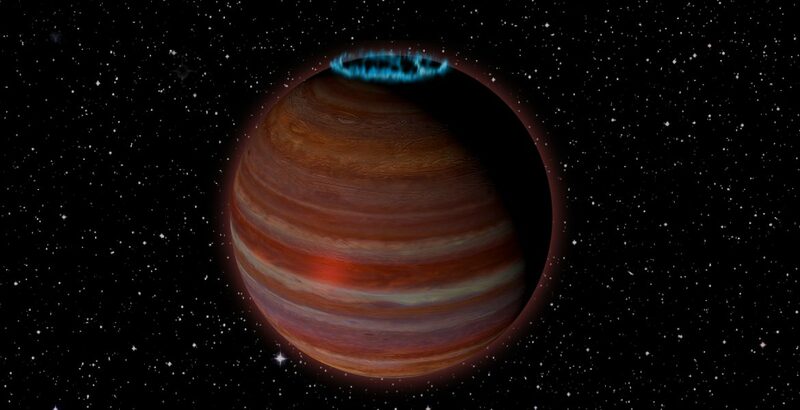 Object is at boundary between giant planet and brown dwarf. “This object is right at the boundary between a planet and a brown dwarf, or ‘failed star,’ and is giving us some surprises that can potentially help us understand magnetic processes on both stars and planets,” said Melodie Kao, who led this study while a graduate student at Caltech, and is now a Hubble Postdoctoral Fellow at Arizona State University. Brown dwarfs are objects too massive to be considered planets, yet not massive enough to sustain nuclear fusion of hydrogen in their cores — the process that powers stars. Theorists suggested in the 1960s that such objects would exist, but the first one was not discovered until 1995. They originally were thought to not emit radio waves, but in 2001 a VLA discovery of radio flaring in one revealed strong magnetic activity. Subsequent observations showed that some brown dwarfs have strong auroras, similar to those seen in our own Solar System’s giant planets. The auroras seen on Earth are caused by our planet’s magnetic field interacting with the solar wind. However, solitary brown dwarfs do not have a solar wind from a nearby star to interact with. How the auroras are caused in brown dwarfs is unclear, but the scientists think one possibility is an orbiting planet or moon interacting with the brown dwarf’s magnetic field, such as what happens between Jupiter and its moon Io. The difference between a gas giant planet and a brown dwarf remains hotly debated among astronomers, but one rule of thumb that astronomers use is the mass below which deuterium fusion ceases, known as the “deuterium-burning limit”, around 13 Jupiter masses. “When it was announced that SIMP J01365663+0933473 had a mass near the deuterium-burning limit, I had just finished analyzing its newest VLA data,” said Kao. Such a strong magnetic field “presents huge challenges to our understanding of the dynamo mechanism that produces the magnetic fields in brown dwarfs and exoplanets and helps drive the auroras we see,” said Gregg Hallinan, of Caltech. “This particular object is exciting because studying its magnetic dynamo mechanisms can give us new insights on how the same type of mechanisms can operate in extrasolar planets — planets beyond our Solar System. We think these mechanisms can work not only in brown dwarfs, but also in both gas giant and terrestrial planets,” Kao said. “Detecting SIMP J01365663+0933473 with the VLA through its auroral radio emission also means that we may have a new way of detecting exoplanets, including the elusive rogue ones not orbiting a parent star,” Hallinan said. The NRAO operates a complementary, state-of-the-art suite of radio telescope facilities for use by the scientific community, regardless of institutional or national affiliation: the Very Large Array (VLA), and the Very Long Baseline Array (VLBA)*. Access to ALMA observing time by the North American astronomical community will be through the North American ALMA Science Center (NAASC). *The Very Long Baseline Array (VLBA) comprises ten radio telescopes spanning 5,351 miles. It’s the world’s largest, sharpest, dedicated telescope array. With an eye this sharp, you could be in Los Angeles and clearly read a street sign in New York City! Astronomers use the continent-sized VLBA to zoom in on objects that shine brightly in radio waves, long-wavelength light that’s well below infrared on the spectrum. They observe blazars, quasars, black holes, and stars in every stage of the stellar life cycle. They plot pulsars, exoplanets, and masers, and track asteroids and planets. And the future Expanded Very Large Array (EVLA). In an unprecedented deep survey for small, faint objects in the Orion Nebula, astronomers using NASA’s Hubble Space Telescope have uncovered the largest known population of brown dwarfs sprinkled among newborn stars. Looking in the vicinity of the survey stars, researchers not only found several very-low-mass brown dwarf companions, but also three giant planets. They even found an example of binary planets where two planets orbit each other in the absence of a parent star. Brown dwarfs are a strange class of celestial object that have masses so low that their cores never become hot enough to sustain nuclear fusion, which powers stars. Instead, brown dwarfs cool and fade as they age. Despite their low mass, brown dwarfs provide important clues to understanding how stars and planets form, and may be among the most common objects in our Milky Way galaxy. Located 1,350 light-years away, the Orion Nebula is a relatively nearby laboratory for studying the star formation process across a wide range, from opulent giant stars to diminutive red dwarf stars and elusive, faint brown dwarfs. This survey could only be done with Hubble’s exceptional resolution and infrared sensitivity. But hot water vapor in the atmosphere of brown dwarfs cannot be easily seen from Earth’s surface, due to the absorbing effects of water vapor in our own atmosphere. Fortunately, Hubble is up above the atmosphere and has near-infrared vision that can easily spot water on distant worlds. The Hubble team identified 1,200 candidate reddish stars. They found that the stars split into two distinct populations: those with water, and those without. 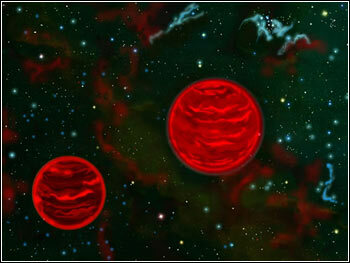 The bright ones with water were confirmed to be faint red dwarfs. The multitude of fainter water-rich, free-floating brown dwarfs and planets within the Orion nebula are all new discoveries. Many stars without water were also detected, and these are background stars in the Milky Way. Their light was reddened by passing through interstellar dust, and therefore not relevant to the team’s study. The team also looked for fainter, binary companions to these 1,200 reddish stars. Because they are so close to their primary stars, these companions are nearly impossible to discover using standard observing methods. But by using a unique, high-contrast imaging technique developed by Laurent Pueyo at the Space Telescope Science Institute, astronomers were able to resolve faint images of a large number of candidate companions. This first analysis did not allow Hubble astronomers to determine whether these objects orbit the brighter star or if their proximity in the Hubble image is a result of chance alignment. As a consequence, they are classified as candidates for now. However, the presence of water in their atmospheres indicates that most of them cannot be misaligned stars in the galactic background, and thus must be brown dwarfs or exoplanet companions. In all, the team found 17 candidate brown dwarf companions to red dwarf stars, one brown dwarf pair, and one brown dwarf with a planetary companion. The study also identified three potential planetary mass companions: one associated to a red dwarf, one to a brown dwarf, and one to another planet. Combining the two unique techniques, imaging in the water filters and high-contrast image processing, the survey provided an unbiased sample of newly formed low-mass sources, both dispersed in the field and companions of other low-mass objects. “We could reprocess the entire Hubble archive and try to find jewels there,” Robberto said. The team will present its results Thursday, Jan. 11, at the 231st meeting of the American Astronomical Society in Washington, D.C.
Finding the signatures of low-mass stars and their companions will become much more efficient with the launch of NASA’s infrared-sensitive James Webb Space Telescope in 2019. 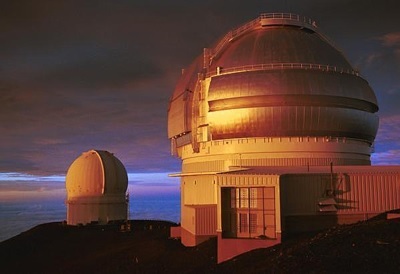 HONOLULU — Astronomers have shown what separates real stars from the wannabes. Not in Hollywood, but out in the universe. 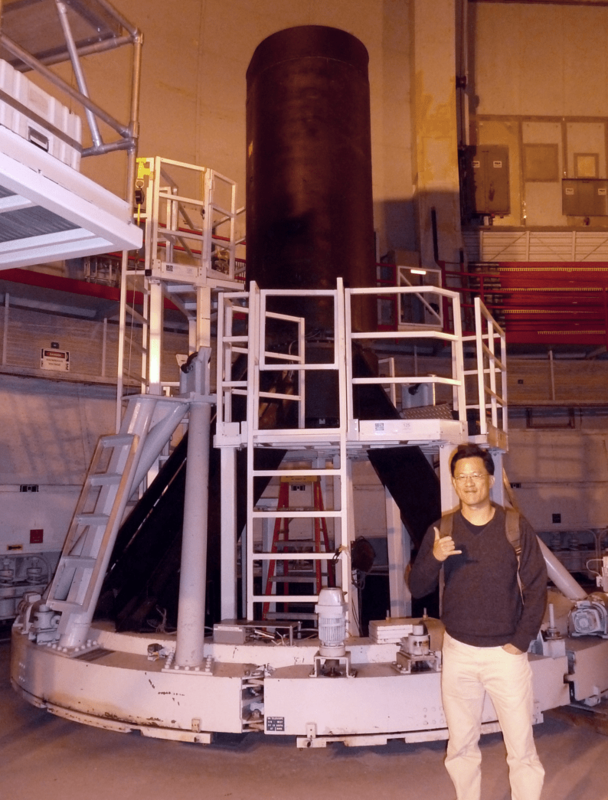 Professor Michael Liu stands in front of WIRCam, CFHT’s infrared camera that was used for this decade long study. “When we look up and see the stars shining at night, we are seeing only part of the story,” said Trent Dupuy of the University of Texas at Austin and a graduate of the Institute for Astronomy at the University of Hawaii at Manoa. “Not everything that could be a star ‘makes it,’ and figuring out why this process sometimes fails is just as important as understanding when it succeeds. 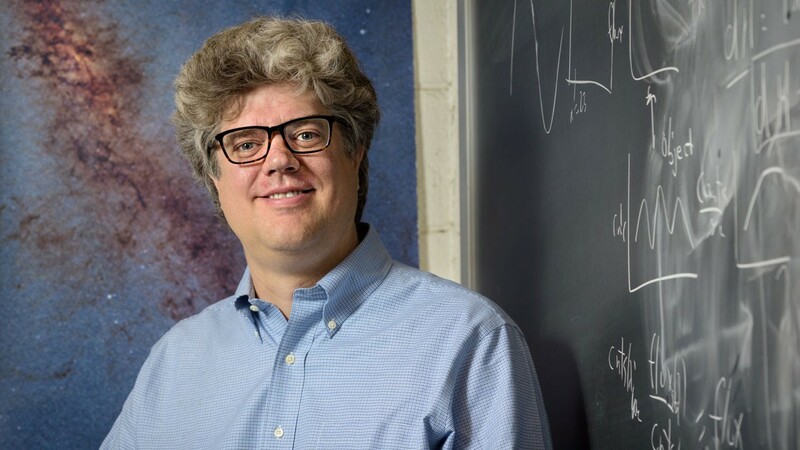 Dupuy is the lead author of the study and will present his research today in a news conference at the semi-annual meeting of the American Astronomical Society in Austin. Stars form when a cloud of gas and dust collapses due to gravity, and the resulting ball of matter becomes hot enough and dense enough to sustain nuclear fusion at its core. Fusion produces huge amounts of energy — it’s what makes stars shine. In the Sun’s case, it’s what makes most life on Earth possible. But not all collapsing gas clouds are created equal. Sometimes, the collapsing cloud makes a ball that isn’t dense enough to ignite fusion. These ‘failed stars’ are known as brown dwarfs. This simple division between stars and brown dwarfs has been used for a long time. In fact, astronomers have had theories about how massive the collapsing ball has to be in order to form a star (or not) for over 50 years. However, the dividing line in mass has never been confirmed by experiment. Now, astronomers Dupuy and Michael Liu of the University of Hawaii, who is a co-author of the study, have done just that. They found that an object must weigh at least 70 Jupiters in order to start hydrogen fusion. If it weighs less, the star does not ignite and becomes a brown dwarf instead. How did they reach that conclusion? For a decade, the two studied 31 faint brown dwarf binaries (pairs of these objects that orbit each other) using two powerful telescopes in Hawaii — the W. M. Keck Observatory and Canada-France-Hawaii telescopes — as well as data from the Hubble Space Telescope. Their goal was to measure the masses of the objects in these binaries, since mass defines the boundary between stars and brown dwarfs. Astronomers have been using binaries to measure masses of stars for more than a century. To determine the masses of a binary, one measures the size and speed of the stars’ orbits around an invisible point between them where the pull of gravity is equal (known as the “center of mass”). However, binary brown dwarfs orbit much more slowly than binary stars, due to their lower masses. And because brown dwarfs are dimmer than stars, they can only be well studied with the world’s most powerful telescopes. To measure masses, Dupuy and Liu collected images of the brown-dwarf binaries over several years, tracking their orbital motions using high-precision observations. They used the 10-meter Keck Observatory telescope, along with its laser guide star adaptive optics system, and the Hubble Space Telescope, to obtain the extremely sharp images needed to distinguish the light from each object in the pair. The result of the decade-long observing program is the first large sample of brown dwarf masses. The information they have assembled has allowed them to draw a number of conclusions about what distinguishes stars from brown dwarfs. Objects heavier than 70 Jupiter masses are not cold enough to be brown dwarfs, implying that they are all stars powered by nuclear fusion. Therefore 70 Jupiters is the critical mass below which objects are fated to be brown dwarfs. This minimum mass is somewhat lower than theories had predicted but still consistent with the latest models of brown dwarf evolution. In addition to the mass cutoff, they discovered a surface temperature cutoff. Any object cooler than 1,600 Kelvin (about 2,400 degrees Fahrenheit) is not a star, but a brown dwarf. This new work will help astronomers understand the conditions under which stars form and evolve — or sometimes fail. In turn, the success or failure of star formation has an impact on how, where, and why solar systems form. “As they say, good things come to those who wait. While we’ve had many interesting brown dwarf results over the past 10 years, this large sample of masses is the big payoff. These measurements will be fundamental to understanding both brown dwarfs and stars for a very long time,” concludes Liu. This research will be published in The Astrophysical Journal Supplement. University of Hawaii press release. Authors: Marc J. Kuchner, Jacqueline K. Faherty, Adam C. Schneider et al. Not everyone can be a star. Brown dwarfs, for example, have failed on their attempt. These objects have masses below the necessary amount to reach pressure and temperature high enough to burn hydrogen into helium in their cores and thus earn the classification “star”. It’s not very long since we’ve learned of their existence. They were proposed in the 1960s by Dr. Shiv S. Kumar, but the first one was only observed many years later, in 1988 – and we are not even sure it is in fact a brown dwarf! We’ve only reached a substantial number of known brown dwarfs with the advent of infrared sky surveys, such as the Two Micron All Sky Survey (2MASS) and the Wide-field Infrared Survey Explorer (WISE). Caltech 2MASS Telescopes, a joint project of the University of Massachusetts and the Infrared Processing and Analysis Center (IPAC) at Caltech, at the Whipple Observatory on Mt. Hopkins south of Tucson, AZ, and at the Cerro Tololo Inter-American Observatory near La Serena, Chile. Discovering and characterising cold brown dwarfs in the solar neighbourhood is one of the primary science goals for WISE. There are two ways of doing that: 1) identifying objects with the colours of cold brown dwarfs; 2) identifying objects with significant proper motion. Brown dwarfs are relatively faint objects, so they need to be nearby to be detected. We can detect the movement of such nearby targets against background stars, which are so distant that they appear to be fixed on the sky. This movement is called proper motion. As the signal-to-noise ratio is not very good for such faint objects, the second method is the preferred one. However, single exposure WISE images are not deep enough to find most brown dwarfs. This is where today’s paper enters. The authors have launched a citizen science project called “Backyard Worlds: Planet 9” to search for high proper motion objects, including brown dwarfs and possible planets orbiting beyond Pluto, in the WISE co-add images. Co-add images are simply a sum of the single exposures images taking into account corrections to possible shifts between them. This increases signal-to-noise ratio and helps to detect faint targets. On today’s paper, they report the first discovery of their project: a new brown dwarf in the solar neighbourhood, which was identified only six days after the project was launched! The idea behind citizen science is to engage numerous volunteers to tackle research problems that would otherwise be impractical or even impossible to accomplish. The Zooniverse community hosts lots of such projects, in disciplines ranging from climate science to history. Citizen science projects have made some remarkable discoveries in astronomy, such as KIC 8462852 (aka “Tabby’s Star”, “Boyajian’s star” or “WTF star”). Tabby’s Star is mysteriously dimming again as reported by Fairborn Observatory in Arizona. In “Backyard Worlds: Planet 9”, volunteers are asked to examine short animations composed of difference images constructed from time-resolved WISE co-adds. The difference images are obtained subtracting the median of two subsequent images from the image to be analysed. This way, if an object does not significantly move, it will disappear from the analysed image with the subtraction, leaving only moving objects to be detected. The images are also divided into tiles small enough to be analysed on a laptop or cell phone screen. The classification task consists in viewing one animation, which is composed of four images, and identifying candidates for two types of moving objects: “movers” and “dipoles”. Movers are fast moving sources, that travel more than their apparent width over the course of WISE’s 4.5 year baseline. Dipoles are slower-moving sources that travel less than their apparent width, so that there will be a negative image right next to a positive image, since the subtraction of the object’s flux will only be partial. An online tutorial is provided to show how to identify such objects and distinguish them from artifacts such as partially subtracted stars or galaxies, and cosmic rays. Five users reported a dipole on a set of images, which can be seen here, the first report taking place only six days after the project was launched. The object, called WISEA 1101+5400, can be seen on Figure 1. This source would be undetectable in single exposure images, while in these co-adds it is visible and obviously moving. Follow-up spectra were obtained 9 using the SpeX spectrograph on the 3 m NASA Infrared Telescope Facility (IRTF). The average spectrum is shown on Figure 2. Both the object’s colours and the obtained spectra are consistent with a field T dwarf, a type of brown dwarf. Assuming WISEA 1101+5400 is the worst case scenario, i.e. about as faint an object as this survey is able to detect and with the minimum detectable proper motion, the authors estimate that “Backyard Worlds: Planet 9” has the potential to discover about a hundred new brown dwarfs. If WISEA 1101+5400 is not the worst case scenario, but objects even fainter or with lower proper motion can be found, this number could go up. Although the discovery of only one brown dwarf might not seem worthy of celebration, this discovery demonstrates the ability of citizen scientists to identify moving objects much fainter than the WISE single exposure limit. It is yet another proof that science could use the help of enthusiasts. So if you’re not doing anything now, why not take your pick at https://www.zooniverse.org/ and help a scientist? Authors: G.Hallinan, S. P. Littlefair, G. Cotter, et al. Auroras are the spectacular light shows visible in the polar regions at Earth and other planets. In 2015 they were detected for the first time outside of the solar system. Brown dwarfs are objects often described as “failed stars”, meaning they are insufficiently massive to ignite hydrogen fusion in their cores. Today’s paper reports on the remarkable discovery that a particular brown dwarf plays host to auroral displays far more powerful than those found anywhere in the solar system. Brown dwarfs occupy the region between giant planets and the lowest mass stars. It is generally accepted that they form in a manner similar to stars, i.e. the gravitational collapse of interstellar gas, but never reaching a mass sufficient to sustain hydrogen fusion in the core. As such, brown dwarfs are extremely cool, faint objects, making their detection much more difficult than ordinary stars. However, they provide an excellent opportunity to for us to better understand the physics that differentiates the stellar and planetary domains. Since their discovery many surveys have been performed which have revealed, amongst other things, the existence of complex weather systems and strong global magnetic fields. Understanding the interaction of the magnetic field at a brown dwarf with its nearby space environment is a key scientific goal. At Earth, space scientists observe the aurora as a means of revealing the structure and dynamics of the magnetic field, and the plasma which interacts with it. Before turning to auroras at brown dwarfs we shall briefly review at what we know about auroras from our studies at Earth and other solar system planets. The vibrant displays that we see are a result of charged particles (i.e. electrons and ions) from the plasma population around the Earth raining down along magnetic field lines, and colliding with molecules in the atmosphere. These collisions excite the atmospheric constituents to a higher energy state, causing the emission of a photon as they return to their original state. Auroral emissions aren’t just confined to Earth; they are found at other magnetised planets in the solar system, with Jupiter being a particularly spectacular example. JUNE 30, 2016: Astronomers are using NASA’s Hubble Space Telescope to study auroras — stunning light shows in a planet’s atmosphere — on the poles of the largest planet in the solar system, Jupiter. The auroras were photographed during a series of Hubble Space Telescope Imaging Spectrograph far-ultraviolet-light observations taking place as NASA’s Juno spacecraft approaches and enters into orbit around Jupiter. The aim of the program is to determine how Jupiter’s auroras respond to changing conditions in the solar wind, a stream of charged particles emitted from the sun. Auroras are formed when charged particles in the space surrounding the planet are accelerated to high energies along the planet’s magnetic field. When the particles hit the atmosphere near the magnetic poles, they cause it to glow like gases in a fluorescent light fixture. Jupiter’s magnetosphere is 20,000 times stronger than Earth’s. These observations will reveal how the solar system’s largest and most powerful magnetosphere behaves. The full-color disk of Jupiter in this image was separately photographed at a different time by Hubble’s Outer Planet Atmospheres Legacy (OPAL) program, a long-term Hubble project that annually captures global maps of the outer planets. Neither are they confined only to the visible part of the spectrum; auroral emissions occur from radio frequencies through to UV and X-ray. Now we return to brown dwarfs. Since 2006 it has been known that a handful of brown dwarfs emit very regular and persistent radio bursts. These burst are pulsed at the rotation period of the dwarf, leading some researchers to suggest that they may be caused by auroras that are generated in a similar manner to Jupiter’s main auroral oval. The pulsing in this case may be due to the magnetic axis being tilted from the spin axis, so that as the dwarf rotates the auroral emission cones into our line of sight. 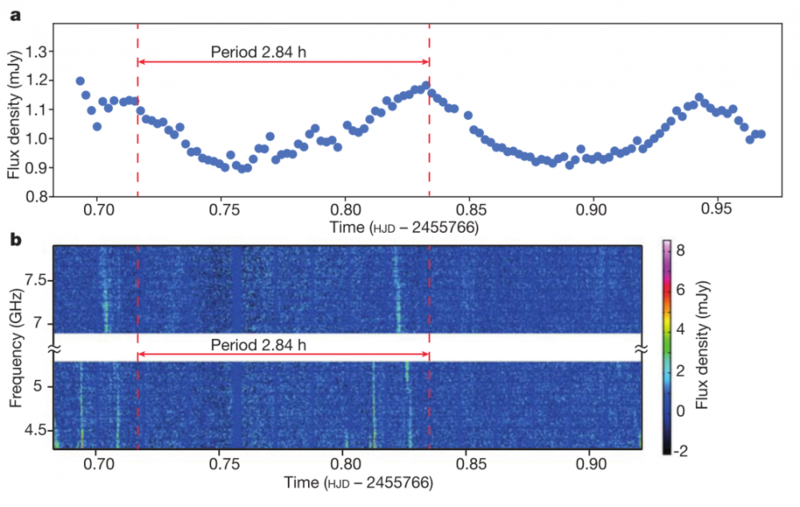 This motivated the authors of today’s paper to target a particular brown dwarf, LSR J1835 + 3259, with simultaneous radio and optical observation, pursuing a possible relation between the two. Radio observations were made using the Very Large Array (VLA) radio telescope, while simultaneously, optical measurements were made with the 5.1 m Hale telescope at the Palomar Observatory with follow-up observations from the 10 m Keck telescope. The results of the observations are shown in Figure 1, where the light curve from the optical measurements (Fig 1a) shows a clear periodicity of 2.84 h. Observations of the radio emission (Fig 1b) show the same periodicity, with a slight offset in phase causing it to lag slightly behind the optical emission. The authors attribute their findings to auroras which are driven by strong electric currents flowing in the magnetosphere of the dwarf. With this discovery many open questions are presented. What is the mechanism driving the auroras? It may be interaction with the interstellar medium, analogous to the process of the Earth’s magnetosphere interacting with the solar wind. Or it could be due to a continuously replenishing source of plasma mass outflow from within a closed magnetosphere, analogous to the mechanism producing Jupiter’s main auroral oval. Additionally, the source of the required plasma population is unknown, with the cool temperatures (∼2000 K) of brown dwarfs being unable to support significant ionisation of their atmospheres, and the lack of nearby stars restricting the possibility ionisation by stellar irradiation. Ultimately it is an exciting prospect that this discovery, along with the arrival of even more sensitive radio telescopes (e.g. the Square Kilometre Array), may pave the way towards detecting auroras at exoplanets. This which would add a novel technique to the exoplanet-detectors toolkit, and enable us to learn about the magnetic fields and plasma populations around those objects. Cool brown dwarfs are a hot topic in astronomy right now. Smaller than stars and bigger than giant planets, they hold promise for helping us understand both stellar evolution and planet formation. New work from a team including Carnegie’s Jonathan Gagné has discovered several ultracool brown dwarfs in our own solar neighborhood. Their findings are published in The Astrophysical Journal. Comparison of sizes and effective temperatures of planets, brown dwarfs, and stars. Displayed are the Sun, the red dwarf star Gliese 229A, the young brown dwarf Teide 1, the old brown dwarf Gliese 229B, the very cool brown dwarf WISE 1828+2650, and the planet Jupiter. Graphic after American Scientist/Linda Huff using NASA satellite images (Sun, Jupiter) and NASA artist work (Gliese 229A + B, Teide 1, WISE1828+2650). Brown dwarfs are sometimes called failed stars. They are too small to sustain the hydrogen fusion process that powers stars, so after forming they slowly cool, contract, and dim over time. Their temperatures can range from nearly as hot as a star to as cool as a planet and their masses also range between star-like and giant-planet-like. They’re fascinating to astronomers for a variety of reasons, mostly because they can serve as a bridge between stars and planets and how the former influences the latter, particular when it comes to composition and atmospheric properties. But much about them remains unknown. “Everyone will benefit from the study of brown dwarfs, because they can often be found in isolation, which means that we can more easily gather precise data on their properties without a bright star blinding our instruments,” Gagné said, who is also a collaborator of the Institute for Research on Exoplanets (iREx) at Université de Montréal. Discovering new brown dwarfs will help scientists to better quantify the frequency at which they occur both in our solar neighborhood and beyond. Knowing the abundance and distribution of brown dwarfs provides key information on the distribution of mass in the universe, and on the mechanism of brown dwarf formation, for example, whether they form in isolation or instead are ejected from larger planetary systems. To that end, the team, led by Jasmin Robert of Université de Montréal, believed that although hundreds of ultracool brown dwarfs have already been discovered, the techniques used to identify them were overlooking those with more-unusual compositions, which would not show up in the color-based surveys generally used. This work was supported by the Fonds de Recherche Québécois-Nature et Technologie and the Natural Science and Engineering Research Council of Canada. Brown dwarfs are sometimes called failed stars. They’re stars’ dim, low-mass siblings and they fade in brightness over time. They’re fascinating to astronomers for a variety of reasons, but much about them remains unknown. 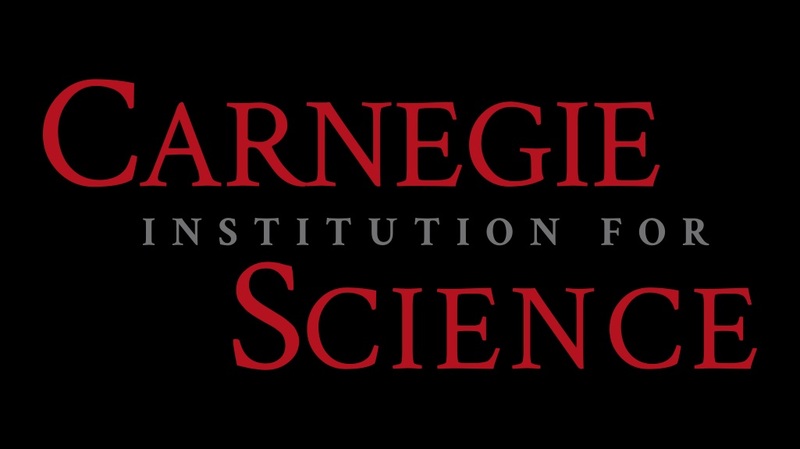 New work from a Carnegie-led team reports the distances of a number of brown dwarfs, as well as low-mass stars, in The Astronomical Journal. Brown dwarfs are too small to sustain the hydrogen fusion process that powers stars. Their temperatures can range from nearly as hot as a star to as cool as a planet, and their masses also range between star-like and giant planet-like. They are of particular interest to scientists because they can offer clues to star-formation processes. The intrinsic brightness of brown dwarfs, particularly cool brown dwarfs, is poorly known, but this key parameter can only be determined once an object’s distance has been measured. Intrinsic brightness is a determination of how bright an object would be if observed at a common distance, eliminating the fact that a bright star can seem dimmer if it is far away and a dim star can seem brighter if it is close. An ongoing planet-hunting survey run by Carnegie co-authors Alycia Weinberger, Alan Boss, Ian Thompson, Sandy Keiser, and others has yielded the distances to 134 low mass stars and brown dwarfs, of which 38 had not been previously measured. “Accurate distances are the foundation upon which we can determine the physical properties and luminosities of brown dwarfs and low mass stars,” Weinberger said. The team built a special instrument for precisely measuring the locations of stars over time, the CAPSCam—the Carnegie Astrometric Planet Search Camera—and they use it at the DuPont Telescope at our Las Campanas Observatory in Chile. The primary goal of the CAPS project is to search for extrasolar planets by the astrometric method, where the planet’s presence can be detected indirectly through the wobble of the host star around the center of mass of the system. But CAPSCam also measures parallaxes to stars and brown dwarfs, including the 134 objects published in this study. Parallax may sound like a word straight out of science fiction, but it’s something you’ve almost certainly experienced yourself. 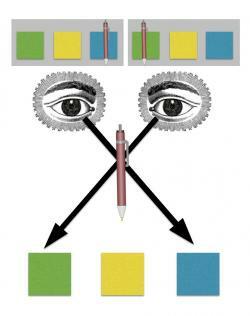 Hold a pen up in front of your face and look at it first with just your right eye and then just your left eye. It appears to be moving in regard to background objects as you switch from eye to eye, even though you know it isn’t moving at all. That’s parallax! What’s more, if you hold the pen further from your face, it appears to move less when you switch eyes than it did when it was closer to you. In the same way, closer stars have larger parallactic motion. What does it have to do with astronomy? It’s the only direct way to measure astronomical distances and the CAPSCam is capable of doing so very precisely. By measuring the shift in an object’s position from different viewpoints in the Earth’s orbit relative to something fixed in the background, astronomers can use geometry to calculate how far away the object is. The study revealed some other useful distance measurements in addition to the brown dwarf discoveries. The team used the motion of two stars and compared them to others in two different stellar groups to confirm the age of the two stars age, between 30 and 50 million years old for one and 100 million years old for the other. This is because distance measurements can tell researchers about the location of a star in 3-D, not just the star’s position in 2-D on the sky, and let them measure the star’s velocity. Finding groups of young stars moving together lets astronomers study them in aggregate and better estimate how old they are and learn about their evolution. The team also reported the first parallax for a star that is notable for hosting a Neptune-sized planet. Relatively few giant planets orbiting low-mass stars are known, so every instance is of interest to planet hunters. Using this measurement the team refined the radius and density estimates for the planet, finding it to be about half as dense as Neptune, closer to Saturn’s density. The study’s other co-authors are: Guillem Anglada-Escude, a former Carnegie fellow now at Queen Mary University of London and Gregory Burley of the National Research Council of Canada. The Carnegie Astrometric Planet Search Camera at the DuPont Telescope at Carnegie’s Las Campanas Observatory in Chile, courtesy of Greg Burley of SBS, who built the camera, along with Carnegie’s Ian Thompson. The researchers used the SIMBAD and Vizier databases, operated at CDS; data from the Two Micron All Sky Survey, which is a joint project of the University of Massachusetts and the Infrared Processing an Analysis Center/California Institute of Technology, funded by NASA and the NSF; data products from the Wide-field Infrared Survey Explorer, which is a joint project of the University of California Los Angeles and the Jet Propulsion Laboratory/California Institute of Technology, funded by NASA; the Mikulski Archive for Space Telescopes, operated by the Association of Universities for Research in Astronomy Inc. under a NASA contract, with support provided by the NASA Office of Space Science as well as other grants and contracts. Although astronomers often refer to brown dwarfs as “failed stars,” scientists at the University of Delaware have discovered that at least one of these dim celestial objects can emit powerful flashes of light. A research team led by John Gizis, professor in UD’s Department of Physics and Astronomy, discovered an “ultracool” brown dwarf known as 2MASS 0335+23, with a temperature of only 4400°F that can generate flares stronger than the sun’s. Gizis reported on the finding on June 13 at the annual meeting of the American Astronomical Society in San Diego. Brown dwarfs actually begin life just as stars do, from collapsing clouds of gas and dust, but they don’t get big enough and hot enough for hydrogen and helium to fuse at their core, generating the nuclear reactions that keep a star burning bright for millions and billions of years. Gizis and his team, including doctoral student Rishi Paudel, and collaborators from the University of California, San Diego and Harvard University, made the findings using NASA’s Kepler space telescope, which monitored the brown dwarf every minute for three months. Poring through thousands of images the size of a postage stamp, the team searched for spikes in brightness. Suddenly, the brown dwarf would get twice as bright for two to four minutes. This happened a dozen times over the three-month period. “These flares are very powerful — stronger than the sun’s. They show what the sun could do when it was younger. It’s like its acne is going away,” Gizis said wryly of the sun, which is “middle-aged” now, at 4½ billion years old, 200 times older than this brown dwarf. Gizis actually discovered the brown dwarf in 1999 when he was a postdoctoral fellow at the University of Massachusetts at Amherst working on NASA’s 2MASS (Two Micron All Sky Survey) project. It is now known to be part of the Beta Pictoris moving group, an association of stars born at the same time and all moving in parallel in space some 63 light years away. It is now known to be part of the Beta Pictoris moving group, an association of stars born at the same time and all moving in parallel in space some 63 light years away. They were all originally part of an interstellar cloud, an amalgamation of dust, gas and space plasma. When this cloud collapsed, the brown dwarfs got scattered into space like the seeds of a dandelion in a puff of wind. Gizis said he hopes to learn more about ordinary stars by studying the most unusual and extreme ones like brown dwarfs. Among their most unique features, brown dwarfs do a complete spin every five hours — now that’s a very short day. Gizis is looking for evidence of clouds, and for planets, too. The brightness dims when a planet comes in front of a brown dwarf or other star. Flares also can impact planets, as space weather watchers well know. When the sun blasts out a massive X-class solar flare, releasing energy equivalent to a billion hydrogen bombs exploding at the same time, Earth can feel the effects, in damaged satellites and communications systems to electrical power grids. “We think there are probably planets around brown dwarfs, so the flares generated by brown dwarfs could be a problem for them,” Gizis said. “But as to whether such a planet might be a habitable one like Earth, Gizis thinks that’s a long shot. One of the oldest universities in the U.S., the University of Delaware traces its roots to 1743 when a petition by the Presbytery of Lewes expressing the need for an educated clergy led the Rev. Dr. Francis Alison to open a school in New London, Pennsylvania. Alison’s first class was “possibly the most distinguished in terms of the later achievements of its members, taken as a whole, of any class in any school in America,” wrote historian John Munroe. Those first students would go on to become statesmen, doctors, merchants and scholars. Thomas McKean, George Read and James Smith signed the Declaration of Independence, and Read also signed the U.S. Constitution. By 1765, Alison’s school relocated to Newark. 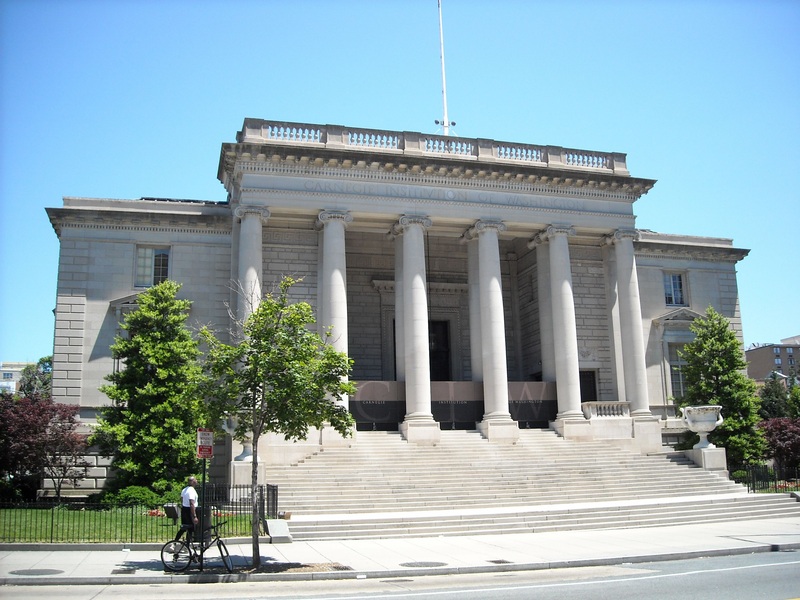 NewArk College opened as a degree-granting institution in 1834 and was renamed Delaware College in 1843. In 1867, the college was designated one of the nation’s historic Land Grant colleges. A women’s college opened in 1914 with 58 students, and in 1921, the two colleges joined to become the University of Delaware. Since 1950, UD has quadrupled its enrollment and greatly expanded its faculty and academics and its influence in the world. In 2009, the University purchased a 272-acre parcel of land adjacent to the Newark campus that previously had been a Chrysler Plant. That site, now the Science, Technology and Advanced Research (STAR) Campus, is home to the University’s Health Sciences Complex and is being developed as a space combining business, research, education and more. In 2011, astronomers announced that our galaxy is likely teeming with free-floating planets. In fact, these lonely worlds, which sit quietly in the darkness of space without any companion planets or even a host sun, might outnumber stars in our Milky Way galaxy. The surprising discovery begged the question: Where did these objects come from? Are they planets that were ejected from solar systems, or are they actually light-weight stars called brown dwarfs that formed alone in space like stars? 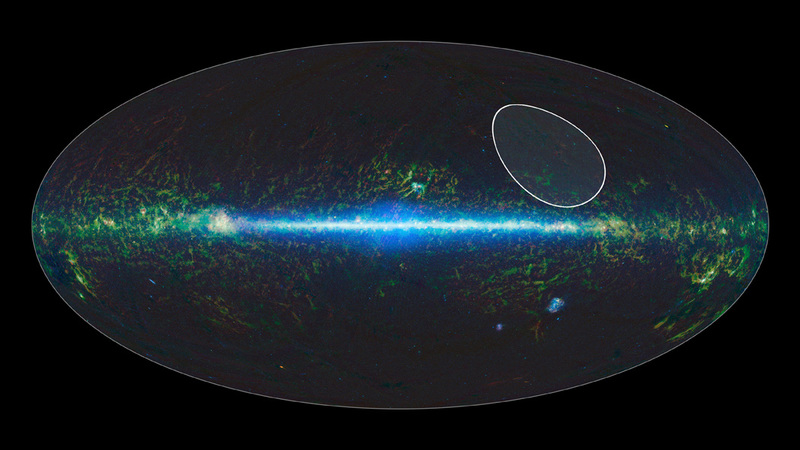 A new study using data from NASA’s Wide-field Infrared Survey Explorer, WISE, and the Two Micron All Sky Survey, or 2MASS, provides new clues in this mystery of galactic proportions. Scientists have identified a free-floating, planetary-mass object within a young star family, called the TW Hydrae association. The newfound object, termed WISEA J114724.10-204021.3, or just WISEA 1147 for short, is estimated to be between roughly five to 10 times the mass of Jupiter. 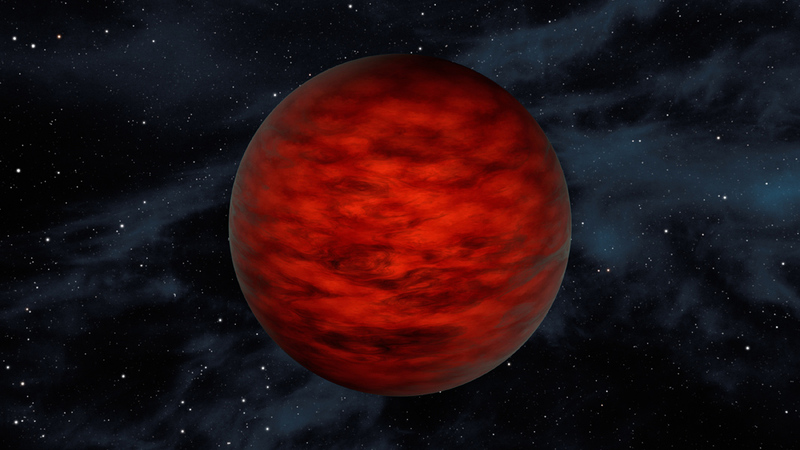 WISEA 1147 is one of the few free-floating worlds where astronomers can begin to point to its likely origins as a brown dwarf and not a planet. Because the object was found to be a member of the TW Hydrae family of very young stars, astronomers know that it is also very young — only 10 million years old. And because planets require at least 10 million years to form, and probably longer to get themselves kicked out of a star system, WISEA 1147 is likely a brown dwarf. Brown dwarfs form like stars but lack the mass to fuse atoms at their cores and shine with starlight. 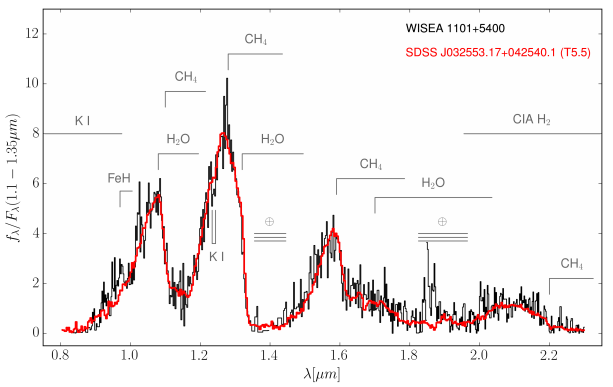 “With continued monitoring, it may be possible to trace the history of WISEA 1147 to confirm whether or not it formed in isolation,” said Adam Schneider of the University of Toledo in Ohio, lead author of a new study accepted for publication in The Astrophysical Journal. Of the billions of possible free-floating worlds thought to populate our galaxy, some may be very low-mass brown dwarfs, while others may in fact be bona fide planets, kicked out of nascent solar systems. At this point, the fraction of each population remains unknown. Tracing the origins of free-floating worlds, and determining whether they are planets or brown dwarfs, is a difficult task, precisely because they are so isolated. “We are at the beginning of what will become a hot field – trying to determine the nature of the free-floating population and how many are planets versus brown dwarfs,” said co-author Davy Kirkpatrick of NASA’s Infrared Processing and Analysis Center, or IPAC, at the California Institute of Technology in Pasadena. Astronomers found WISEA 1147 by sifting through images taken of the entire sky by WISE, in 2010, and 2MASS, about a decade earlier. They were looking for nearby, young brown dwarfs. One way to tell if something lies nearby is to check to see if it’s moved significantly relative to other stars over time. The closer an object, the more it will appear to move against a backdrop of more distant stars. By analyzing data from both sky surveys taken about 10 years apart, the close objects jump out. Finding low-mass objects and brown dwarfs is also well suited to WISE and 2MASS, both of which detect infrared light. Brown dwarfs aren’t bright enough to be seen with visible-light telescopes, but their heat signatures light up when viewed in infrared images. The brown dwarf WISEA 1147 was brilliantly “red” in the 2MASS images (where the color red had been assigned to longer infrared wavelengths), which means that it’s dusty and young. “The features on this one screamed out, ‘I’m a young brown dwarf,'” said Schneider. After more analysis, the astronomers realized that this object belongs to the TW Hydrae association, which is about 150 light-years from Earth and only about 10 million years old. That makes WISEA 1147, with a mass between about five and 10 times that of Jupiter, one of the youngest and lowest-mass brown dwarfs ever found. Interestingly, a second, very similar low-mass member of the TW Hydrae association was announced just days later (2MASS 1119-11) by a separate group led by Kendra Kellogg of Western University in Ontario, Canada. Another reason that astronomers want to study these isolated worlds is that they resemble planets but are easier to study. Planets around other stars, called exoplanets, are barely perceptible next to their brilliant stars. By studying objects like WISEA 1147, which has no host star, astronomers can learn more about their compositions and weather patterns. Other authors of the study include: James Windsor and Michael Cushing of the University of Toledo; and Ned Wright of UCLA, who was also the principal investigator of the WISE mission. The 2MASS mission was a joint effort between the California Institute of Technology, Pasadena; the University of Massachusetts, Amherst; and JPL. Caltech manages JPL for NASA. WISE, NEOWISE and 2MASS data are archived at IPAC.